When the community wins, we win. Our team serves on various boards, such as Goodwill Industries, contributing to our communities this holiday season. Congratulations to all award winners for years of commitment within the workforce and for their successful careers. 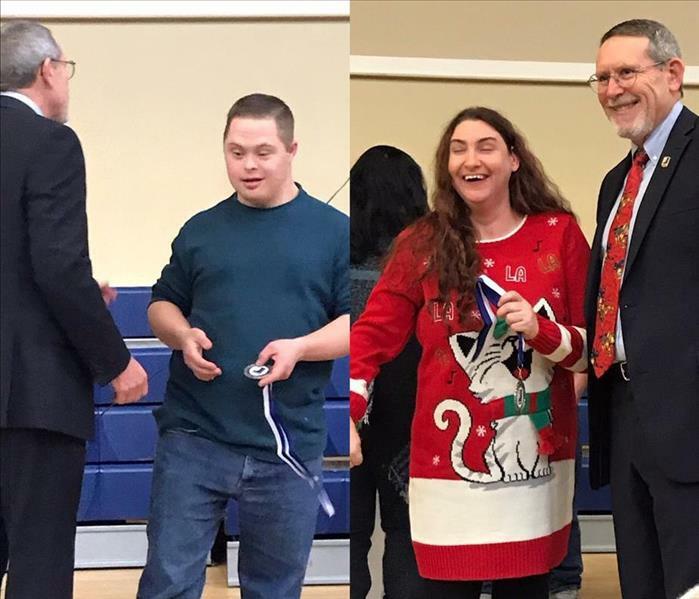 Awards presented by Goodwill President, David Oliver (pictured). 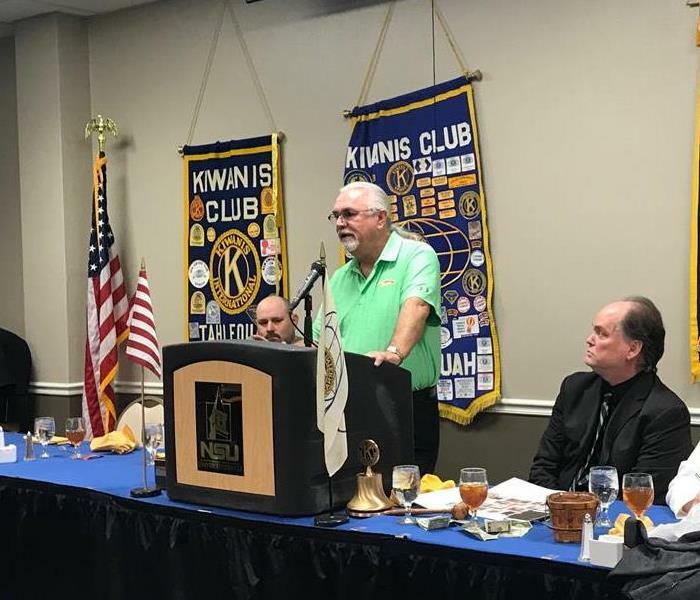 Owner Carl Kelley spoke to Tahlequah's Kiwanis Club meeting. 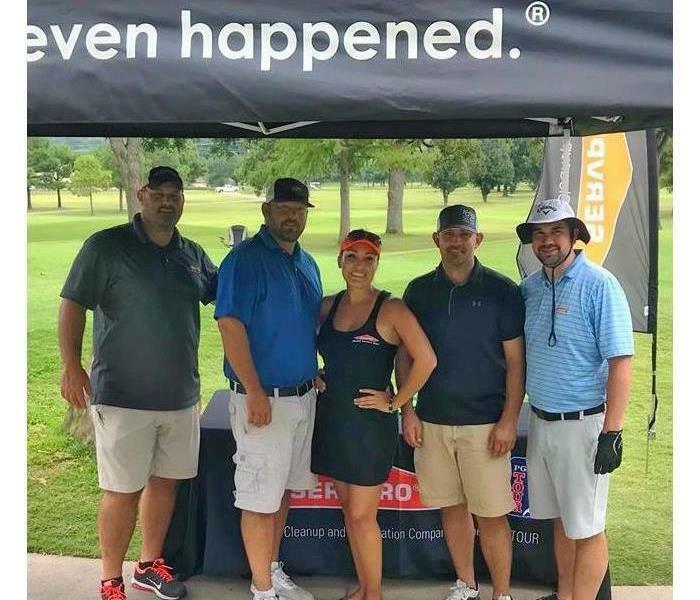 Bacone College hosted their annual golf benefit tourney and we were there to cheer the college on. 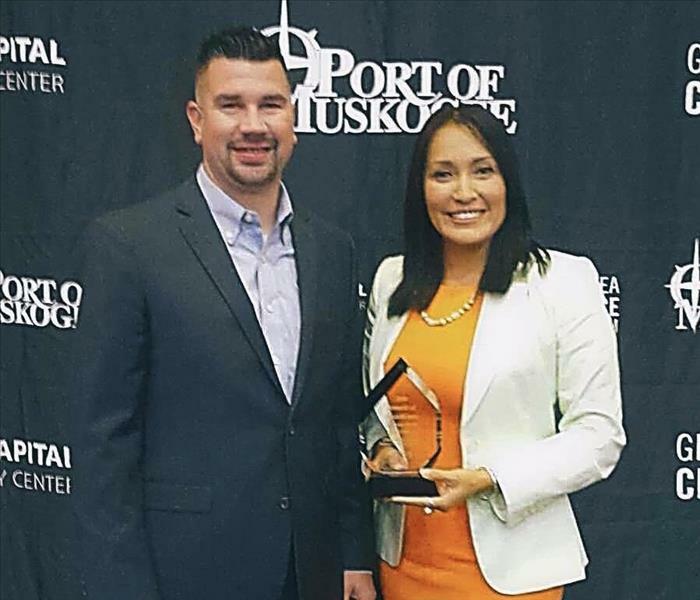 Pictured are Operations Manager Jordan Kelley, and Business Development Strategist, Linda Sacks, accepting this year's award and SERVPRO's first ever Business and Industry award for Community Service Business of The Year 2018. 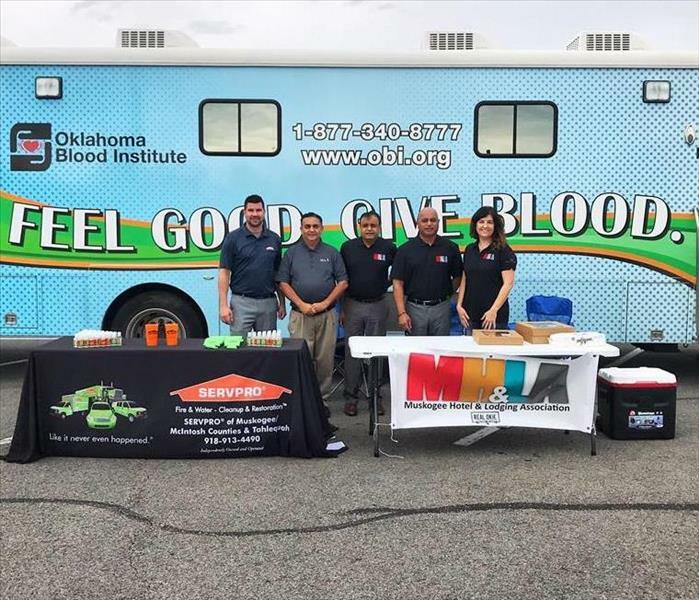 On Wednesday, Oct. 24th, we teamed up with the Oklahoma Blood Institute and the Muskogee Hospitality and Lodging Association (MH&LA) to host a blood drive. We not only met our goal but exceeded it. 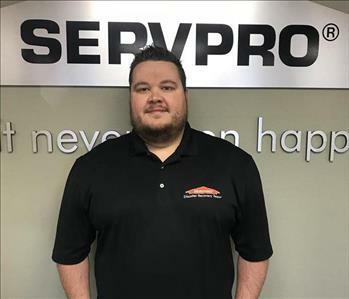 Jordan is a board member for the MH&LA and SERVPRO one to twice a year hosts blood drives for the local Red Cross or Oklahoma Blood Institute at the SERVPRO location or other various locations throughout the city of Muskogee. 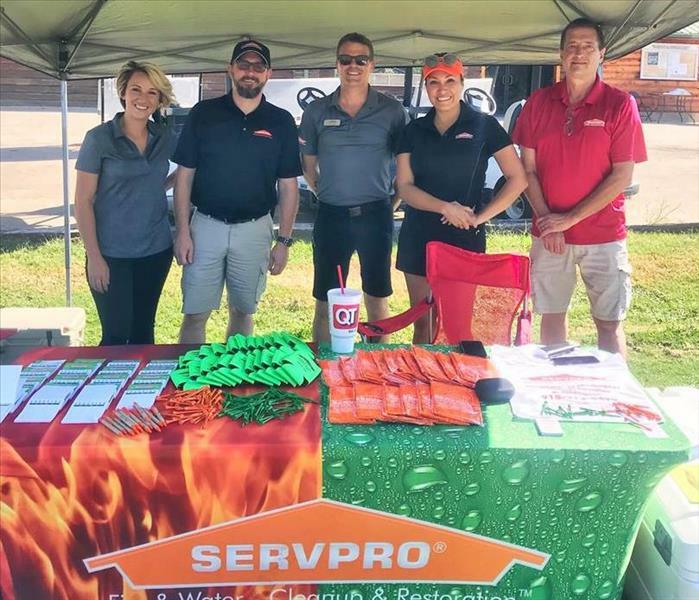 Like our Facebook page: SERVPRO Muskogee/McIntosh Counties & Tahlequah to keep up with SERVPRO involved community events and learn how you may get involved. Operation Manager, Jordan Kelley, graduated from Leadership Native Oklahoma. 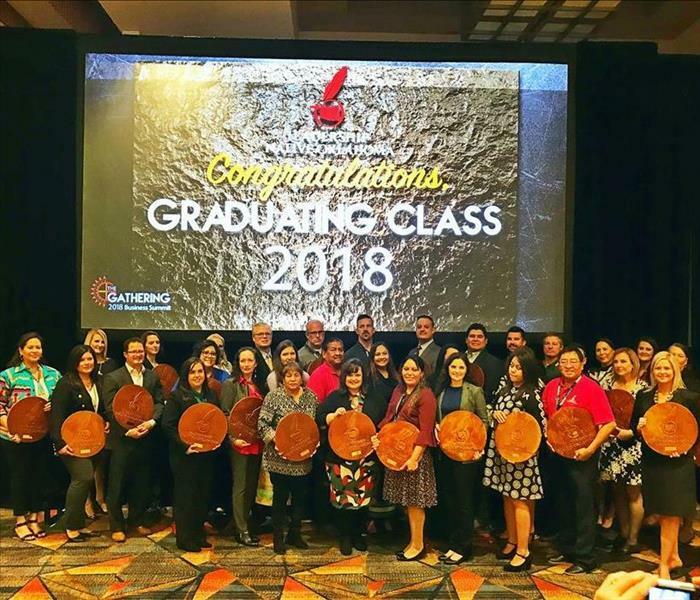 He graduated amongst some of the state's leaders as identified by the American Indian Chamber of Commerce of Oklahoma. Your SERVPRO family is proud of all that you have accomplished. 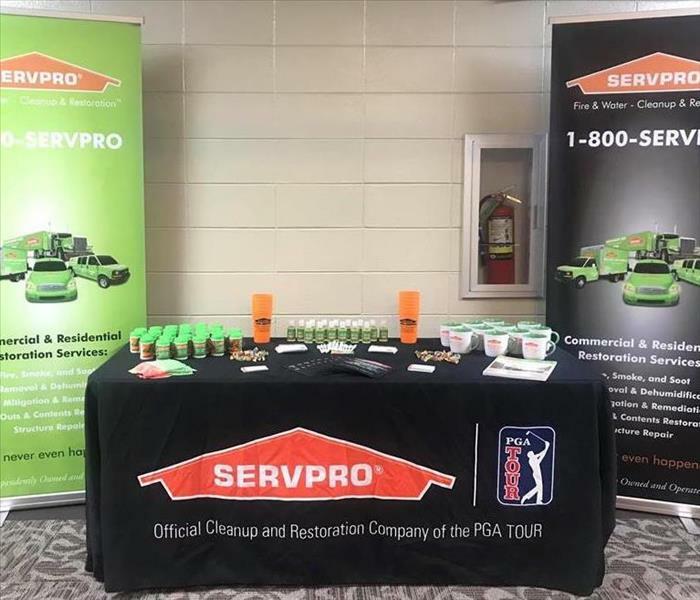 SERVPRO partnered with SERVPRO of South Tulsa for the Oklahoma Superintendent and Plant Management Association this summer at Sequoyah State Park. 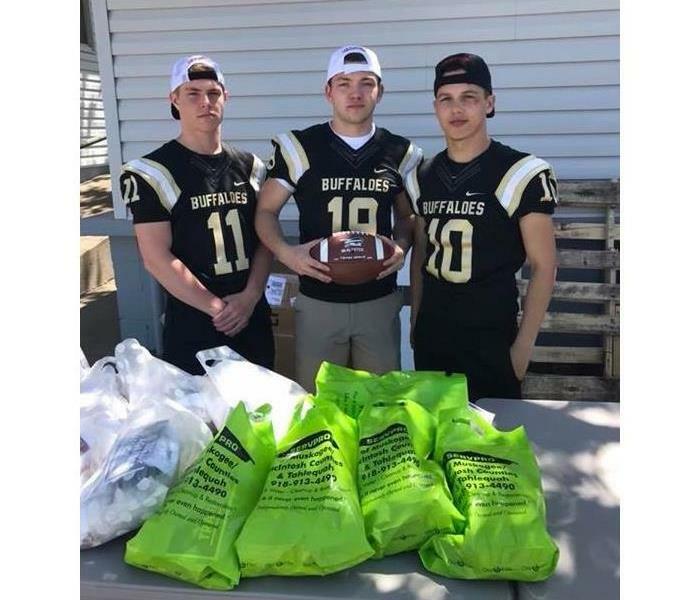 SERVPRO Muskogee/McIntosh Counties and Tahlequah is a supporter of the McAlester Buffalo football program. 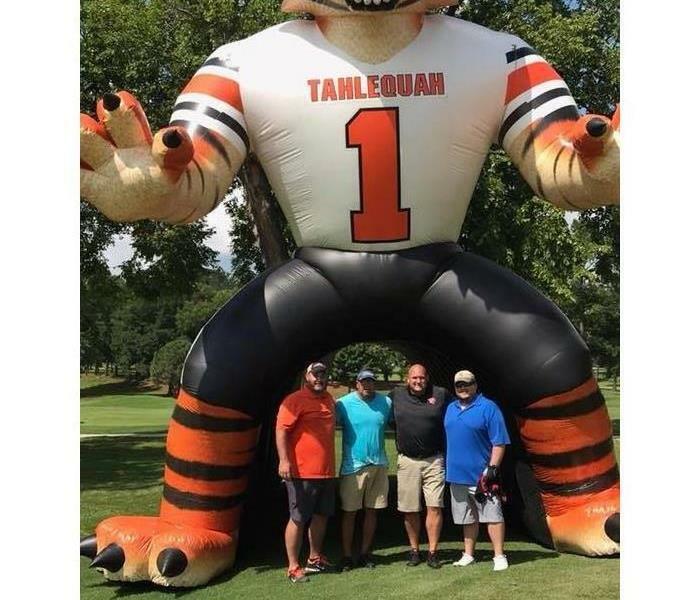 Pictured are SERVPRO Muskogee/McIntosh Counties & Tahlequah’s Duel Smith with Joe Leach and Tahlequah High School’s Athletic Director Matt Cloud and SERVPRO Muskogee/McIntosh Counties Shane “Tex” Christy. SERVPRO Muskogee/McIntosh Counties & Tahlequah is a proud supporter of Tahlequah High School. SERVPRO Muskogee/McIntosh Counties & Tahlequah’s sponsored the Shiner’s Annual Cherok-O-Dair golf tournament. 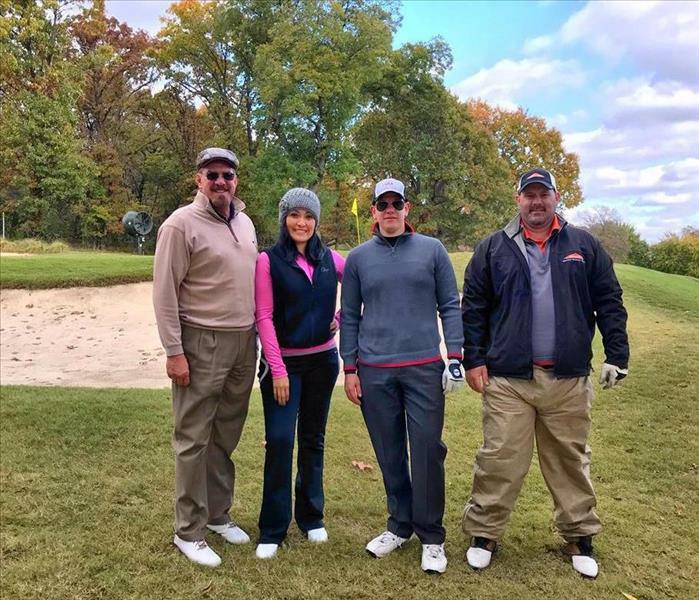 Pictured are SERVPRO’s Duel Smith, Lin Sacks, Jordan Kelley, with Brad Davenport and Frank Hendricks. 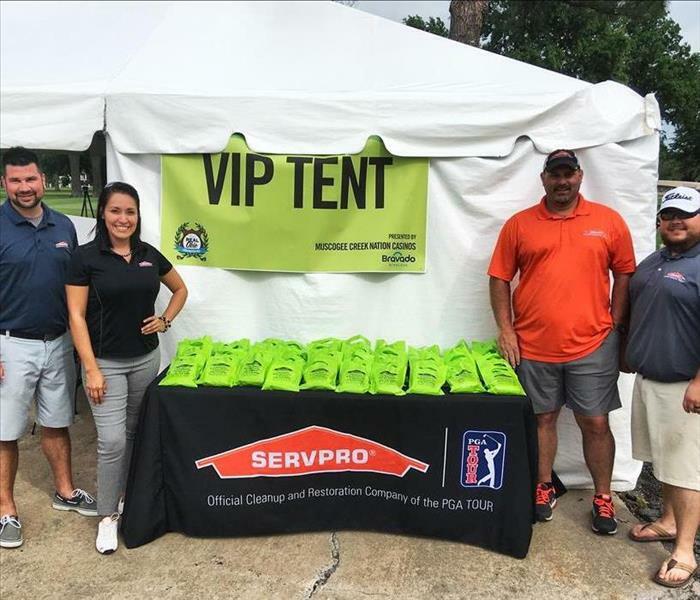 Last week, your local SERVPRO team sponsored Muskogee's first ever Adams Pro Tour circuit tournament. 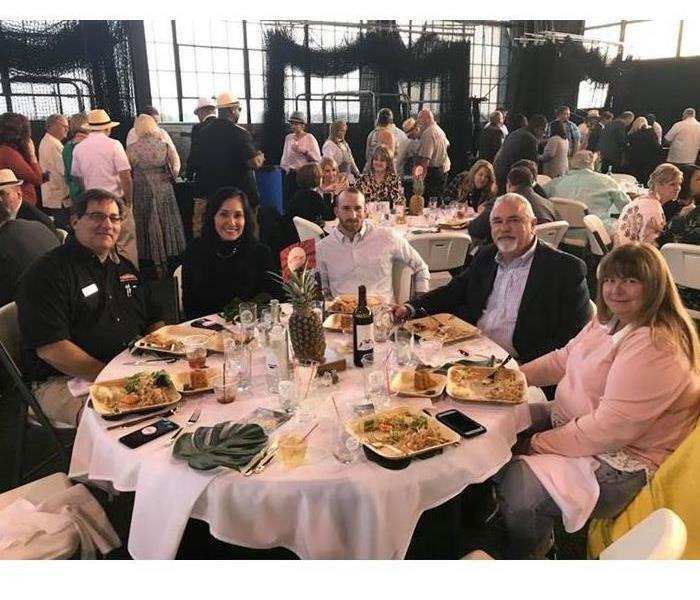 On Tuesday, May 15th, the ladies of Muskogee got free lessons from the pros on the tour while enjoying a great social evening in the VIP tent. 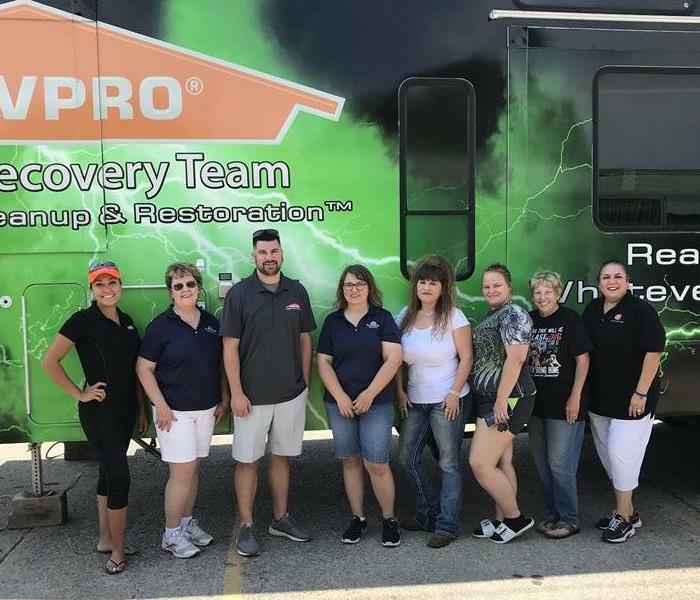 To see a video of the SERVPRO Sip n' Chip event, got to SERVPRO Muskogee/McIntosh County and Tahlequah's Facebook page.